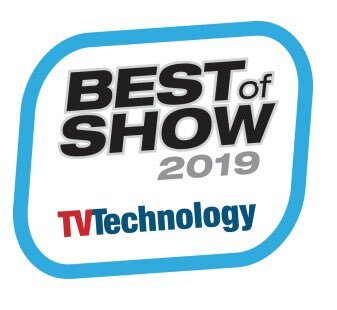 As system engineer for Omroep Brabant, the Public Broadcasting regional television and radio broadcaster serving the North Brabant Province in the Netherlands, Arie van Grinsven is responsible for implementing the latest technology that benefits viewers most. The TV station side—which offers a full slate of news, entertainment and cultural programs—recently retrofitted one of its production studios with a robotically controlled camera system from Telemetrics that allows a single operator to manage the camera and on-air look with precision and ease. Measuring about 10 x 12 meters (33 x 40 feet), the studio now includes four Sony HDC-P1 PTZ cameras mounted on Telemetrics PT-LP-S5 Pan/Tilt Heads on EP-7-600 Televator elevating pedestals that are precisely controlled by a Telemetrics RCCP-1 control panel with Studio control software. The unmanned cameras have the freedom to roam the studio floor, tethered to a cable management system. Thanks to unified control for camera robotics and camera shading, the Telemetrics system enables the production staff to provide more camera coverage, more dynamic camera moves and more points of view—all at low cost. Van Grinsven said he can access the deep-menu controls of broadcast cameras without purchasing camera control units or paint boxes. The RCCP-1-STS also enables Omroep Brabant to store multiple shows, each with its own unique inventory of shots. One of the major advantages of the Telemetric system over other technology we have used is that the RCCP-1 gives us full control over camera features like Iris, White Balance, etc. 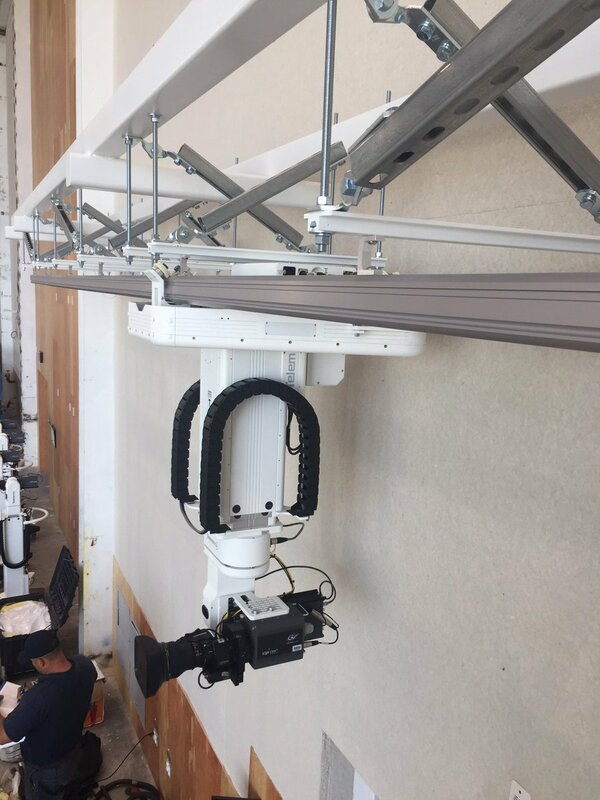 The Telemetrics RCCP-1-STS system at Omroep Brabant now includes pan/tilt/zoom/elevator/trolley robotics control with camera shading control in a single, compact system. When the system was installed in March of this year, van Grinsven worked with Telemetrics engineers to train the staff and most were up and running within a matter of hours. The robotically controlled camera system from Telemetrics is now being used seven days a week in the revamped studio at Omroep Brabant and it has worked reliably ever since. Van Grinsven said that each show has a different operator who knows their specific camera settings (stored in the RCCP-1 control panel’s internal memory cache) and can recall them in seconds. This brings a consistency to the station’s overall program schedule—which van Grinsven states viewers really like. Omroep Brabant is the fourth TV station in the region to convert its studio operations completely to a robotically controlled camera system from Telemetrics. Omroep Brabant is the Netherlands Public Broadcasting regional broadcaster from the province of Brabant. It was founded in 1976 and began broadcasting radio and TV programming in 1997. Besides news and informative programming it offers also cultural programs.